Rainbow Friends Animal Sanctuary is a 501(c)3 non profit organization dedicated to the well being of Hawaii’s unwanted, rejected, abandoned, abused or otherwise neglected animals, especially companion animals.Our services include rescuing, fostering, provision of food, medical care and safe sheltering of these creatures until they can be permanently placed into caring and responsible homes. Some animals may live out their lives at the Sanctuary, or foster locations, or be returned to their human companions. We are a no-kill animal sanctuary. We are a no-kill animal sanctuary, founded in 1999 by Mary Rose Krijgsman whose goal is to help alleviate the animal abandonment and overpopulation issues facing our island. Safe sheltering of these creatures until they can be permanently placed into caring and responsible homes. We take in any dogs and cats who need new homes, as space is available and adopt them to loving families. If the animals are not adopted, they have a permanent home at our sanctuary. We also help people find alternate solutions to surrendering their animals, such as providing food, alternate housing suggestions, and foster care. We frequently help people who cannot afford veterinary care for their pets and help with spay/neuter costs. 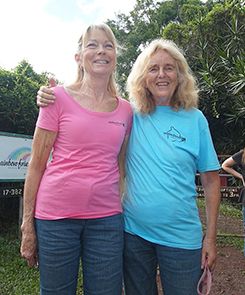 The Rainbow Friends Animal Sanctuary grew from Mary Rose Krijgsman’s deep concern for the welfare of animals on the Island of Hawaii. In December 1999, Mary Rose visited the Best Friends Animal Sanctuary in Kanab, Utah. That journey solidified an earlier decision to establish an animal sanctuary on the Island of Hawaii. 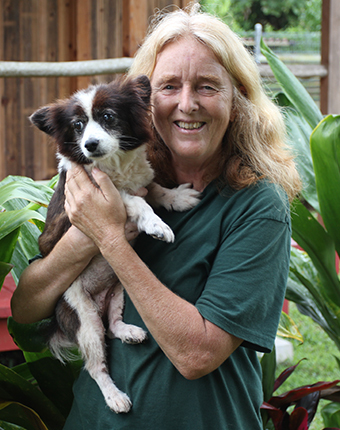 In 1999 Rainbow Friends Animal Sanctuary was started in Hilo and later moved to Kurtistown. In March 2000, Mary Rose returned to Best Friends for formal training in the establishment of an animal sanctuary. 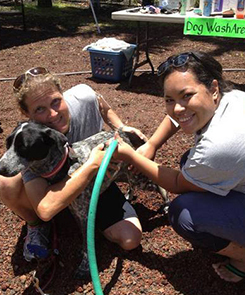 She also traveled to Reno, Nevada for training in emergency animal rescue. In May 2001, the Sanctuary purchased a 7.5 acre property near Kurtistown that contained a two-story home and a large shade cloth green house. In June, construction began on kennels and pens for the dogs and catteries for the cats. In October 2001, the Sanctuary completed Phase I of the construction plan. By January 2002, there were more than 50 dogs and 75 cats in residence, along with one guinea pig and six chickens. 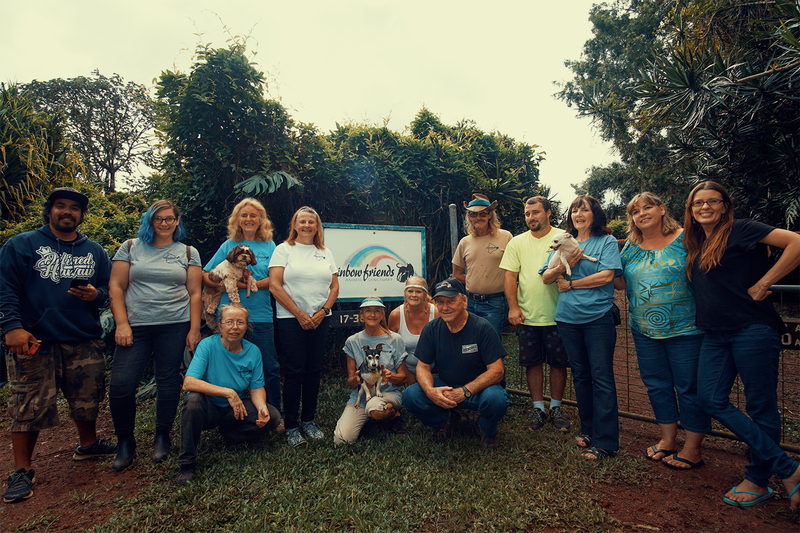 The completion of Phase I began the journey toward a much larger vision that includes expanded facilities for dogs and cats, suitable homes for larger animals, and programs linking the Sanctuary to the community. We invite you to explore this web site and join in the unfolding of the Rainbow Friends Animal Sanctuary vision. We also invite you to contact us to share your suggestions, ideas, and wisdom. Aloha!